ISLAMABAD: The Supreme Court (SC) on Thursday ordered the National Accountability Bureau (NAB) to seek its permission before filing a corruption reference against Bahria Town after the real estate company agreed to pay Rs460 billion for the land it acquired from the Malir Development Authority (MDA) in Karachi. The court had taken up implementation of its May 4, 2018 judgement in the case which held that the land grant to the MDA by the Sindh government, its exchange with the land of the private land developers — Bahria Town — and anything done under the provisions of the Colonisation of Government Land Act 1912 by the provincial government was illegal. The land was granted to the MDA for launching an incremental housing sch­eme, but instead of doing so, the authority swapped it with Bahria Town, which launched a scheme of its own, the judgement had held. Bahria Town Karachi will have to pay the entire amount within seven years, said the top court in its ruling, ordering the company to pay Rs25bn as down-payment by August this year. From September onward, it will have to pay monthly instalments of Rs2.25bn for the next three years. After three years, it will have to pay a four per cent markup in case of late instalments. If the company fails to deposit two instalments, Bahria Town Karachi will be considered a defaulter, said the top court. The company will also be required to give a 99-year lease to everyone who purchased a plot in Bahria Town Karachi housing project and will mortgage parks, cinemas and other assets owned by it. The court further said that NAB would not file references against Bahria Town Karachi as long as the latter complies with the order. During the hearing of the case on Thursday, Bahria Town’s counsel requested the court to give the real estate seven and a half years to make the full payments, to be paid to the Sindh government. “If you want to make payments in seven and a half years then talk to NAB,” retorted Justice Sheikh Azmat Saeed. The Sindh government representative present during the hearing said the amount be paid to the provincial government. It may be noted that the government had insisted during the entire course of the case that it did not incur any losses in the transfer of land to Bahria Town from MDA. MDA counsel also requested the court to discard cases against Sindh government’s officials. “Do you want that references should not be filed against those who misused their authority?” Justice Faisal Arab asked. Once the amount is paid in full, the court will pass a decision regarding the ownership of the land in accordance with the law. The money will be deposited in the Supreme Court which will then be distributed as per the law, the order said. Bahria Town Karachi’s director has also been ordered to record a statement under oath regarding the payment. 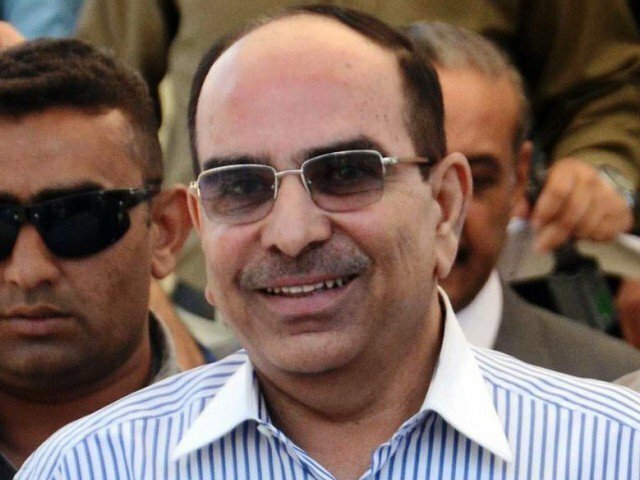 On Wednesday, SC reserved its judgement in the case against Bahria Town (Pvt) Ltd after Malik Riaz upped his offer to Rs450 billion for the lands his real estate company occupies in Karachi’s Malir district. Currently, Bahria Town is in possession of 16,896 acres of land in Malir district, whereas it has surrendered 7,675 acres to the MDA.